Sort your days out in stunning style with help of this Casual Craze Magenta Cotton Printed Shirt Tunic Dress with Black Buttons from the house of Snehal Creations. 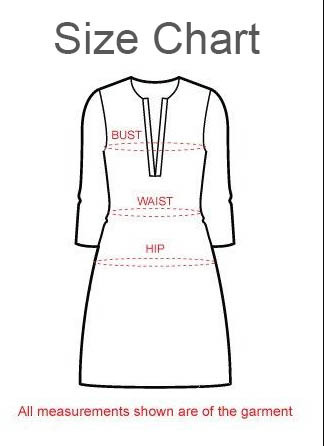 This short style tunic has a front open design and a ban collar. The Magenta fabric has black printed lines running through it vertically. Matching black motifs adorn its three fourth sleeves.